Straying from our cake theme, this is a Fifty-Two Cakes guest blog entry from my wonderful mother-in-law, Dawn. 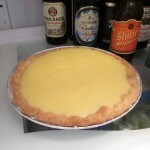 She was so kind as to share her famous lemon meringue pie recipe. 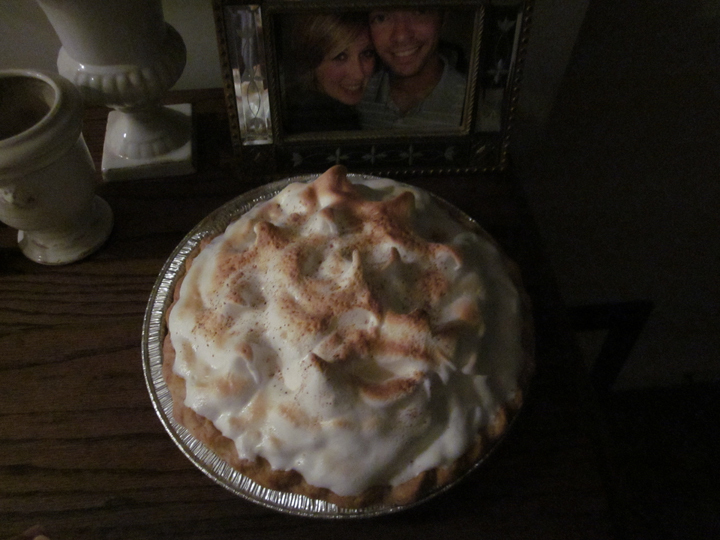 She and her daughter, Carly, cleverly named her lemon meringue pie “The Debutant.” Carly wrote this delightful introduction. 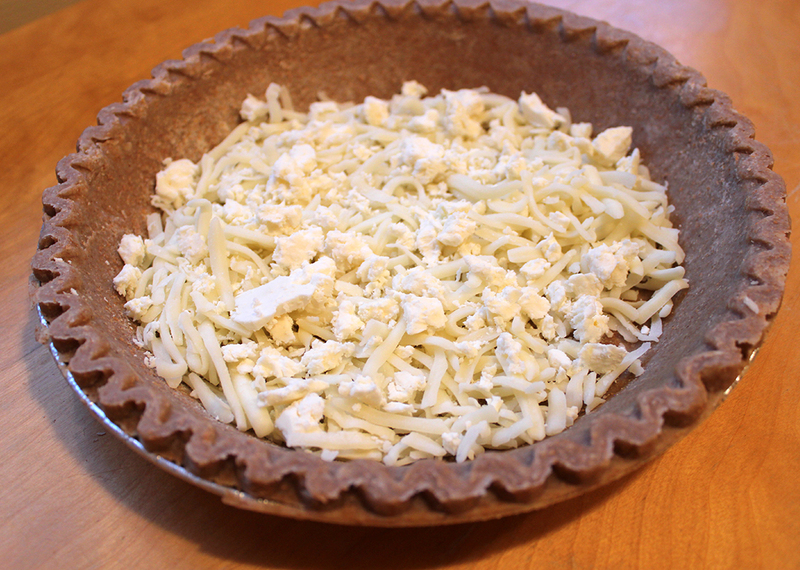 The way some people feel about a fine wine or a 52 dollar and ounce Aztec chocolate or a 300-year-old goat cheese is the same way I feel about pie. I regard pie, almost any kind, with passion and fanaticism and I suppose a psychiatrist might connect my feelings about pie to my childhood. 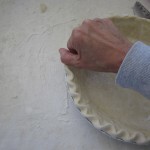 Growing up, every other week or so my mother would dust her heavy, hard hands with flour, take a silver bowl, three ingredients and a touch of tap water and in five minutes she’d be ready to fill her pie with fruit or pudding or pumpkin. 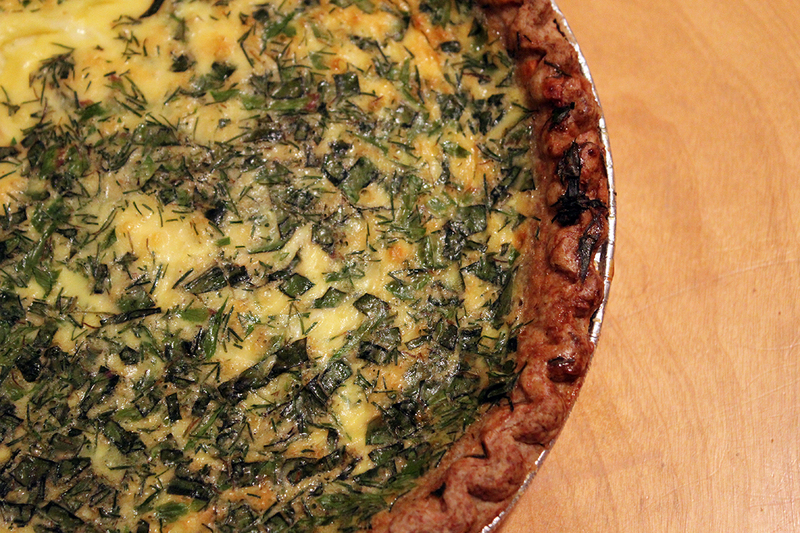 It looked so easy and when I left home and tried to make a pie myself I realized that it was nearly impossible. The trick with pie is that you have to treat it with gentleness and wisdom. Seriously. 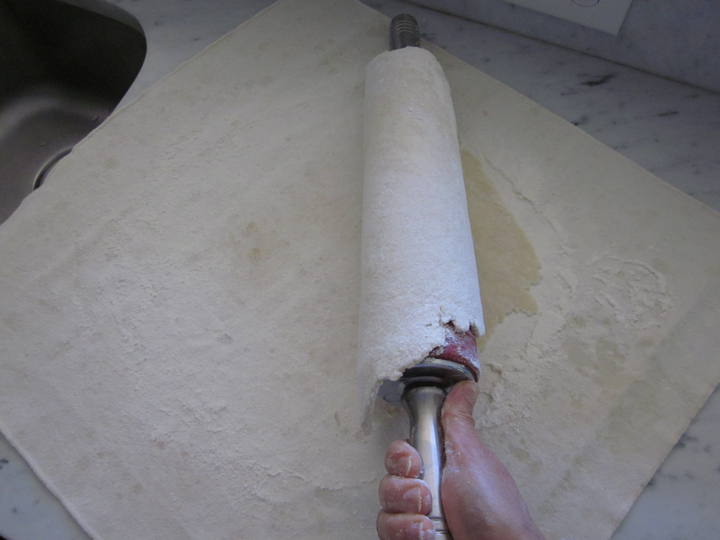 You have to learn how to handle the dough, or how to handle it without really handling it at all. It’s something you learn. It takes time but you get there. I don’t have my mother’s magic hands so I’ve introduced a fork to the Crisco and flour stage and it’s less elegant but turns out just as grand. The thing about pie is, if you ask my eldest child, pie means “I love you.” He told me this the other day. And though I know I am in grave danger of hitting some unfortunate sappiness, bear with me, because I think my son is right. 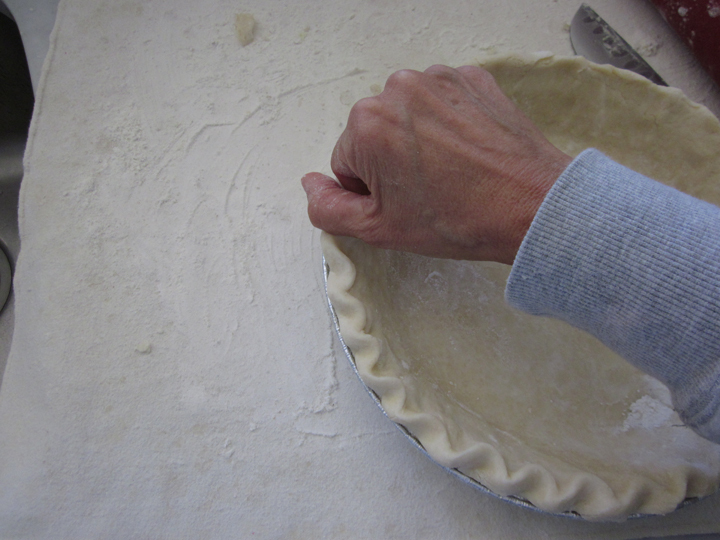 Pie is something that takes a gentle touch, a bit of courage and moment or two. 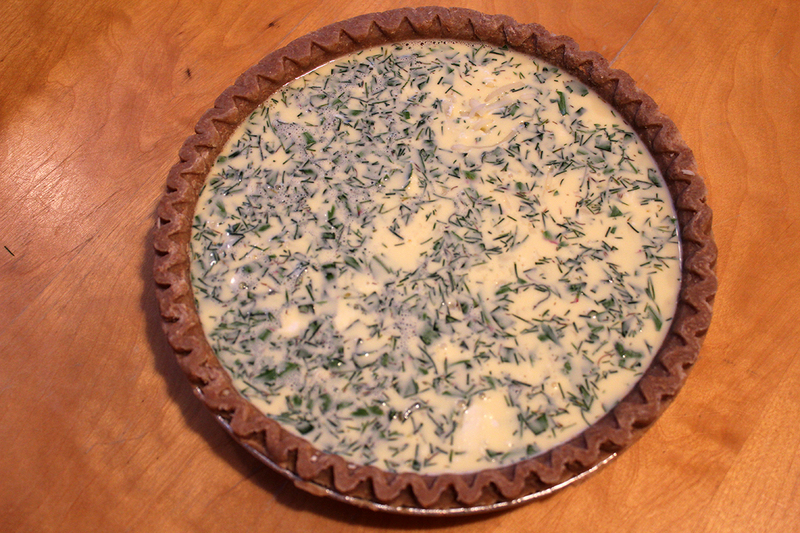 It is a calculated act that says to the person you are serving it to that you thought of them… That is, of course, unless you are like me, who makes the pies and then hides them in a high cupboard away from the children. 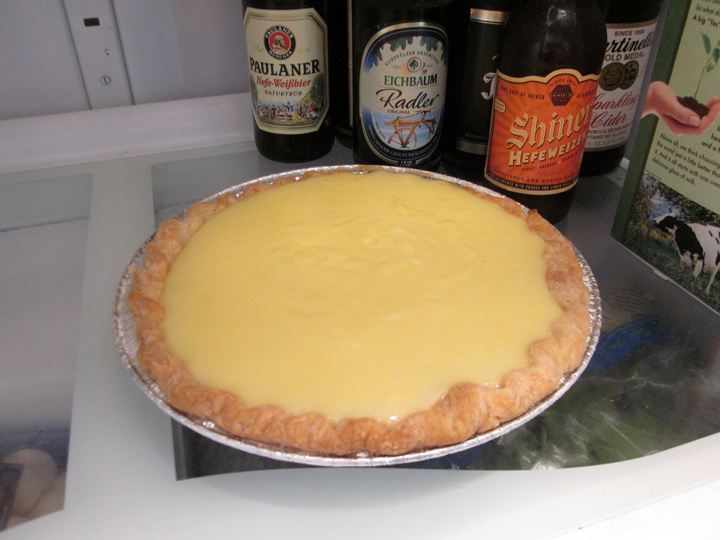 PS – The best thing about this lemon pie is that in addition to its being delicious it doesn’t really keep past a day so you have got to eat it all in one go. I suggest it is best eaten at breakfast with a spoon. 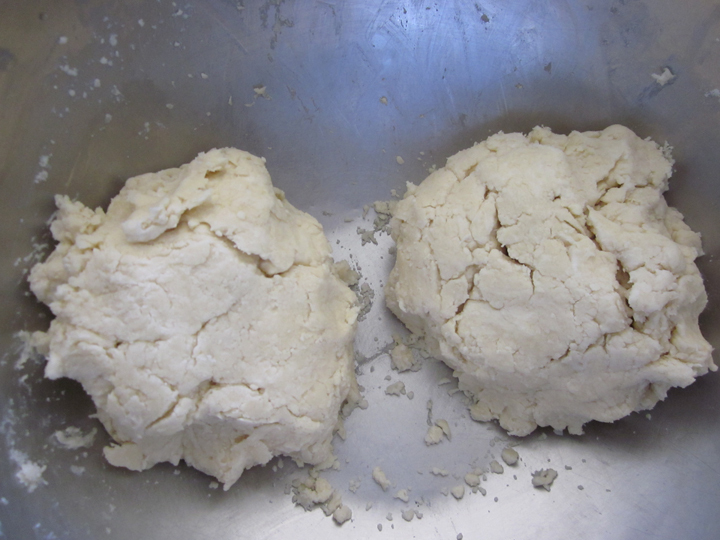 ½ c. water…making sure you only add enough water until the crust forms a ball. 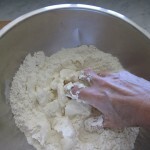 Combine the sugar, cornstarch and salt in a heavy-bottomed saucepan and mix until the starch is completely incorporated. 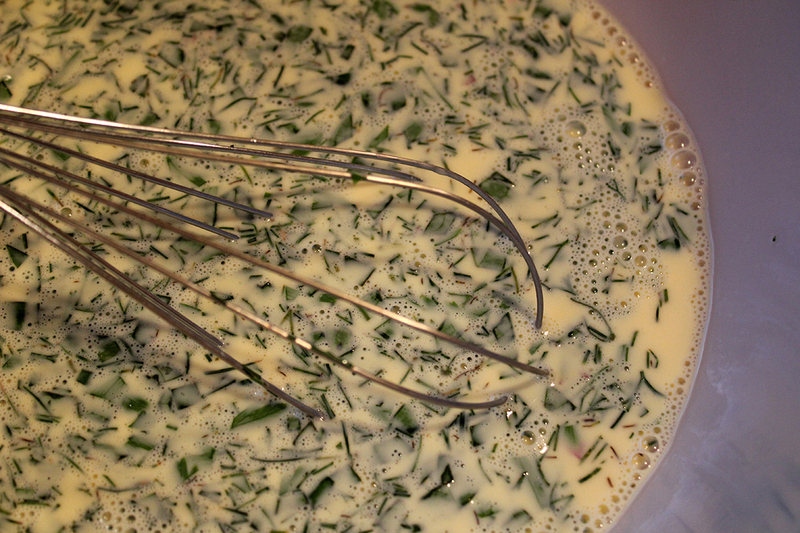 Add the milk and stir until dissolved. 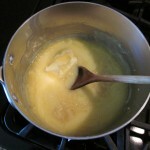 Cook on low heat until just begins to thicken and bubble, cover and let cook for 10 minutes, stirring often so mixture will not burn. Remove from heat. 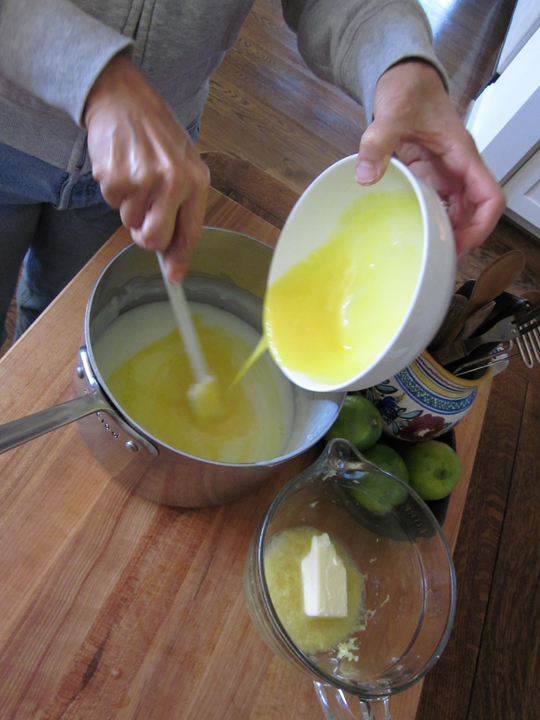 Place egg yolks in a small bowl and add about ½ cup of the hot milk mixture, stirring quickly and constantly so eggs won’t curdle. 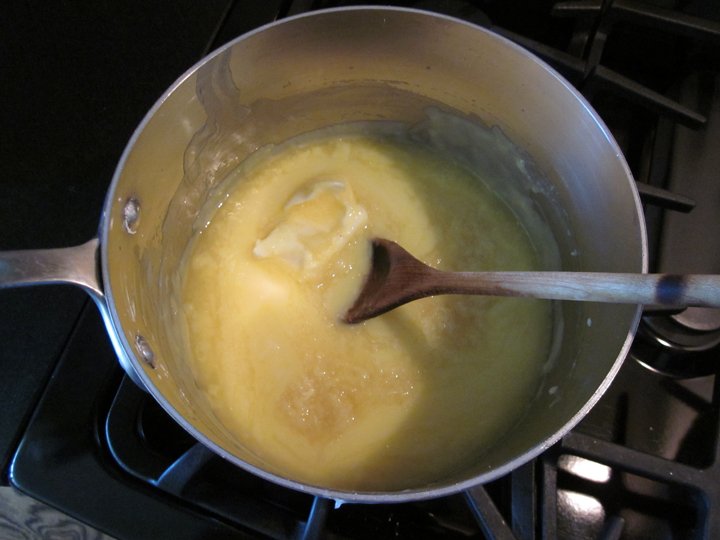 Then place egg mixture back into the sauce pan and mix well. 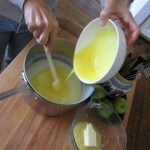 The heat of the milk will continue to cook the egg so do not place the pan back on the stove. 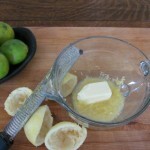 Add the butter, lemon juice and grated lemon rind, mixing well, and pour it into the cooled pie shell. Refrigerate until completely cool. 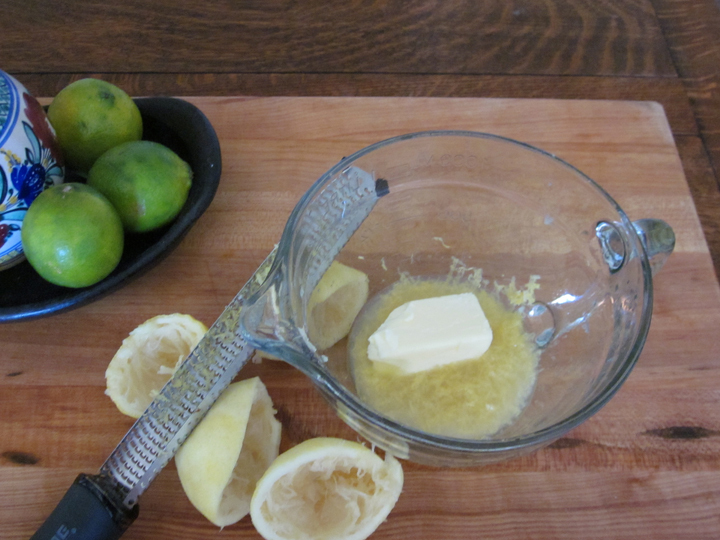 Pour five egg whites into a grease-free bowl. 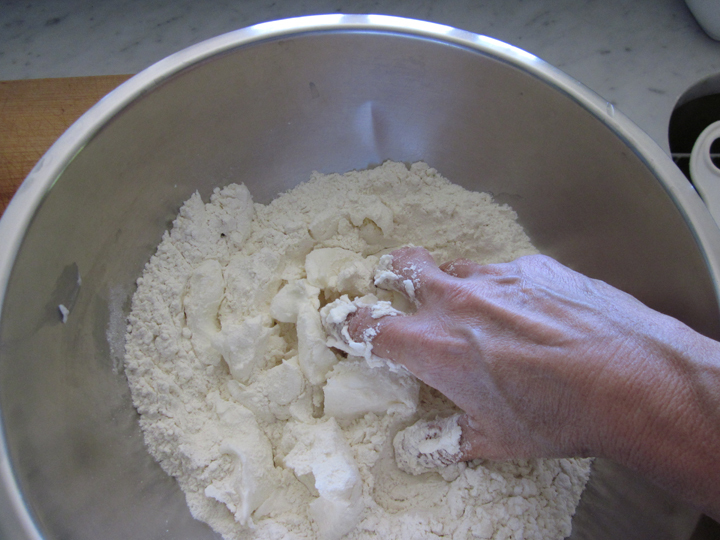 Turn mixer on high and add the pinch of salt, ½ teaspoon cream of tartar and 1/3 cup to ½ cup sugar to taste. 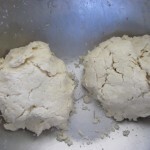 Whip on high until stiff peaks form. 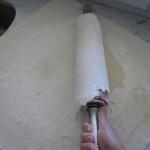 Dump on top of the lemon filling, sealing the meringue to the crust with a spoon so it will not separate from the crust. Make cute little peaks and sprinkle with nutmeg if desired. 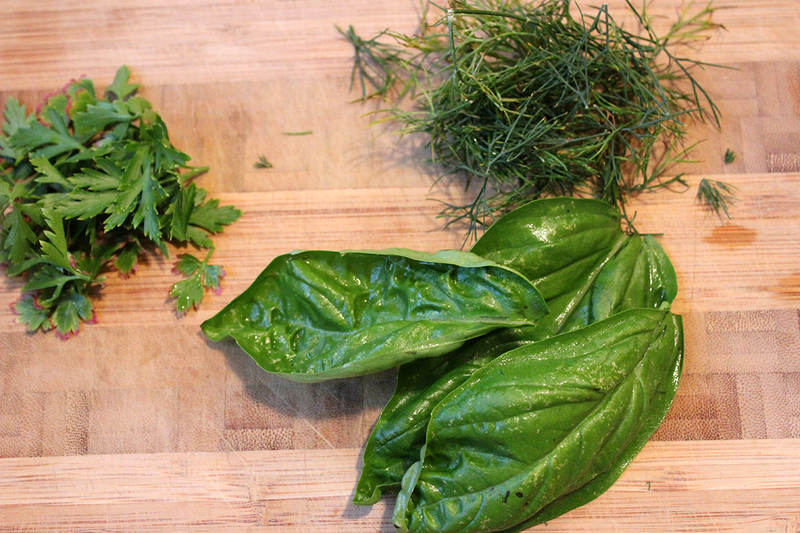 Place under broiler and broil until just browned. Refrigerate immediately. 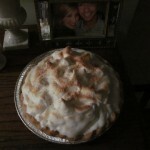 Note: This delicious “Debutant” lemon meringue pie must be eaten in one day!